The 2020 Hyundai Sonata made its global debut in Korea last month. In fact, we’ve already driven it. But Hyundai’s sharp new sedan is making its American debut today at the 2019 New York Auto Show. And it’s just as pretty as ever. Hyundai’s “Sensuous Sportiness” design language introduced the Korean model carries over here, obviously. The angular headlights, aggressive LED accents, and gaping grille up front go unchanged. The directional wheels (available in either 16-, 17-, or 18-inch fitments) and sleek taillights cap off the look in the rear. 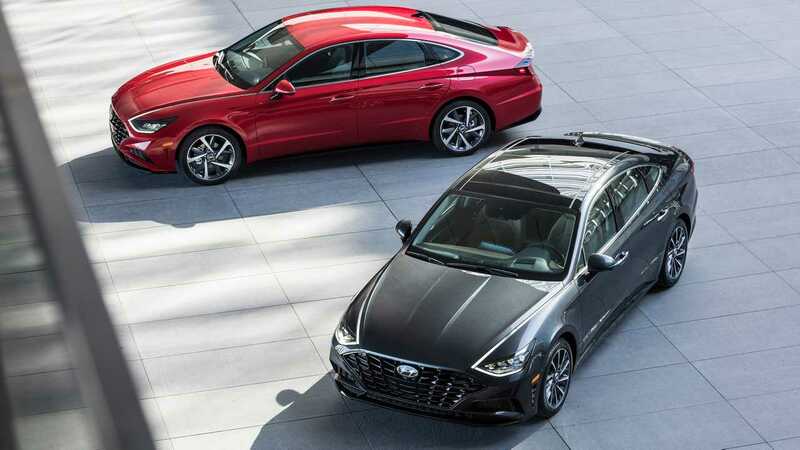 With its new styling, the 2020 Sonata returns a drag coefficient of 0.27. According to Mike O’Brien, vice president of product and corporate and digital planning at Hyundai, the new Sonata’s shape “signifies our vision for future Hyundai design.” But it’s more than just a pretty face. The 2020 Sonata has two engine options. The base, turbocharged 1.6-liter four-cylinder produces 180 horsepower (134 kilowatts) and 195 pound-feet (264 Newton-meters) of torque while yielding an EPA-estimated 31 miles per gallon combined. The larger 2.5-liter engine, meanwhile, pumps out a respectable 191 hp (142 kW) and 181 lb-ft (245 Nm), while returning up to 33 miles per gallon combined. Both engines come paired to the same eight-speed automatic transmission. Inside, the Sonata is more tech-focused, too – Hyundai calls it, “Beautifully Smart.” Behind the steering wheel is a 12.3-inch digital instrument cluster, customizable for different driving modes and preferences. A 10.25-inch HD infotainment screen sits atop the dash, complete with audio-video, navigation, and standard Apple CarPlay and Android Auto functionality. Qi wireless charging is an option, a head-up display, and even smartphone key technology are available as options. The new Sonata comes standard with a few passive and active safety features. But opt for the optional Advanced Driver Assistance System, and it tacks on extra equipment like forward collision avoidance, lane keep assist, radar cruise control with stop and go, and lane-centering technology. 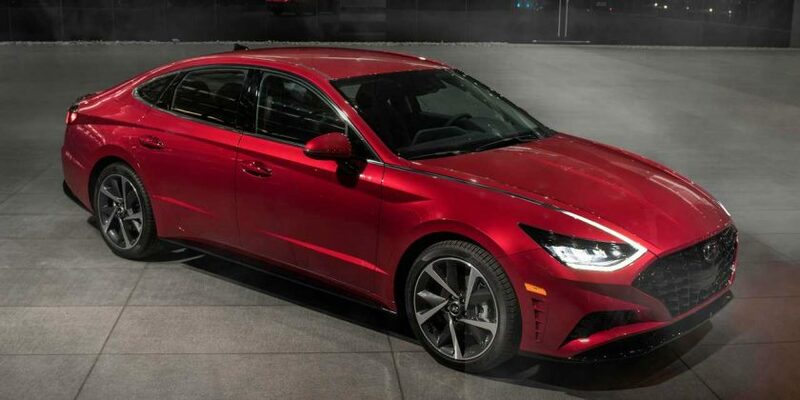 The 2020 Hyundai Sonata goes on sale this year, but no word on pricing yet.